Silver Lake Middle School PTO has A LOT of open positions next year. Please consider volunteering your time. Many hands might the load lighter. This past school year 1% of the student's parents were involved in PTO. PTO meetings are the first Monday of each month at 7 pm in the Middle School Library. This is the nomination form and a description of the open positions. To nominate yourself, or others, please email the nomination form to Katie Berry at katie.berryphotos@icloud.com. Want to stay informed or volunteer? 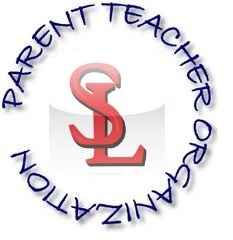 PTO meets the first Monday of every month at 7pm in the SLRMS library. Any parent/guardian can attend a PTO meeting, not just board members. We need non-board members to attend and vote on how to spend PTO funds. PTO tries to raise $25,000 every year to fund requested field trips, events, and learning enrichment but sometimes that is still not enough to fund all. PTO receives money when you register your Stop & Shop card and it costs you $0.00! Cool, huh? PTO holds events during the year that need volunteer support. Volunteering is a great way to meet other parents, students, and staff in our regional school district. Volunteers must be CORI/SORI certified by the school before volunteering. There are many ways to help with an event even if you work full time.